The Hillcrest girls softball team has been playing on a field nextdoor to the school, which was being leased by the school, but now is being sold by the owners. 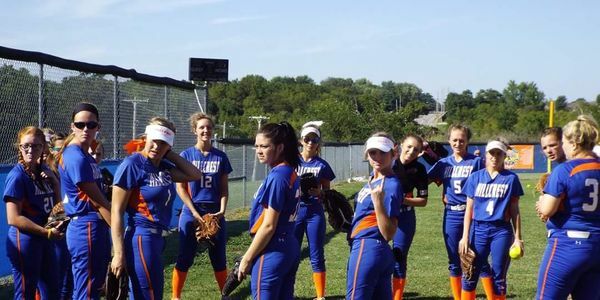 If the field is not bought by Springfield Public Schools, it is highly likely that the Hillcrest girls softball team will no longer have a field to play on. Then our entire team of teenage girls will have to drive across town to a public field every day after school and before games. We feel it is unsafe to ask our girls to travel across town every day for practice, especially since there's a field right across the street. The girls that are presently on the team, along with the girls that will be there on the future, need to focus more on their school work and academics instead of the time that it takes to drive back and forth from a field off-campus. It is just simply unheard of that any sports for boys would have to endure a similar situation. Please sign this petition to urge Springfield Public Schools to buy the field next door to Hillcrest so the girls softball team has a place to play. If you support Hillcrest please sign the petition. If you support softball please sign the petition. If you support women's sports please sign the petition if you support sports in general please sign the petition. Thank you. Hillcrest softball girls have been playing on a field next door to the school, which was being leased by the school, but now is being sold by the owners. Springfield Public Schools should purchase the land so the girls would continue having a field. The price of the field and the land surrounding it would cost a fraction of what it would cost to build a brand new field like schools on the other side of town have. Hillcrest, Kickapoo, and Glendale were supposed to be the beneficiaries of a title 9 lawsuit, but Hillcrest was left out. It is time that Hillcrest is treated as if it matters, and it is time that girls sports are treated with the same importance as boy sports regardless of the size of the crowds or the revenue that it generates. High School sports should not be about making money but should be about building responsible and hard-working young adults while teaching what team work can actually accomplish. We are not asking for a handout, but equal treatment and at the very least a sit-down conversation about what it would take on the booster club's side to do our part to keep this field.